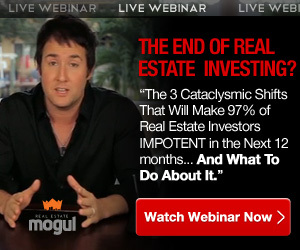 Last Monday I was on the phone with a beginning apartment investors. She said she really wanted some type of shortcut or tool to help her find and purchase a great apartment property – one that would be right FOR HER. We all have different ideas on what a good deal is, don’t we? This is true at all different levels of investment. What may be a great deal for some, may be a bad deal for the next person. It really comes down to the fact that we all need great profits from a property that is right FOR YOU! I mean we ALL want to make money and build wealth through owning commercial real estate properties but how do we now which kind of properties we should buy, what size, what location, what condition, etc.? All of the investors I work with begin by filling out and Apartment Investing Business Plan. The template will walk you through step-by-step in writing up your business plan, and then taking action to achieve your investment goals. 1. Mental Toughness And Commercial Investment Real Estate. This step will define what you want to own and what you want to achieve as an apartment investor. What do you want to achieve as a result of owning and profiting from commercial investment real estate? What BENEFITS do you want as a result? What Kind Of Commercial Real Estate Do You Want To Avoid? 2. The Three Properties Per Week Rule. If all you do was to take a look at three properties per week you will have accumulated millions of dollars in commercial real estate in less than 2 years, on average. Getting this kind of market exposure is important – especially for beginning investors. The next step is to do a thorough analysis of the market in your area. How many apartments are on the market? What are the CAP Rates for your area? What is the average number of days that buildings are on the market? 4. INVESTOR PERSONAL ANALYSIS And Team Building : You Need To Get These Things Done FIRST. Identify the people that will be on your personal investment “Dream Team” and what each of their roles will be in your investment business. What attorney, appraiser, inspector, accountant, and commercial brokers will you use is simply the tip of the iceberg in this section. This is where you will go into the details of each property you are considering for purchase. It is an in-depth investment analysis of the profitability of the property. You should also identify andy growth opportunities for cash flow, and reduction opportunities for expenses. Finally, in the Strategy section, you will want to identify exactly how much money you would like your investments to earn over the next X months. Determine how many units you will own and break these down into sub-steps to achieve your goals. Developing a solid Apartment Investing Business Plan does not have to be complicated, nor take much time. Contrary to popular believe, you do not need to spend months on this step before you begin. However, one of the biggest mistakes I see investors make is not to create a business plan before getting started. Be sure that you do not make this mistake and take the time necessary to plan ahead for maximum profits and opportunities.